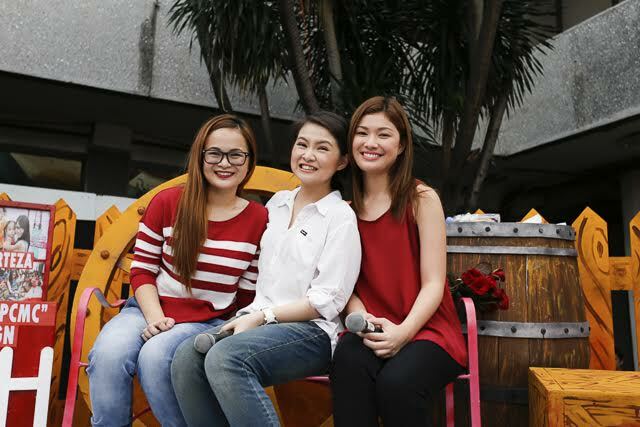 I was in the same place when Barbie Forteza celebrated her birthday party last year and she's at it again. When asked about how to celebrate her debut, she uttered "I am so happy, I am excited to turn 18 but can I wish for something? 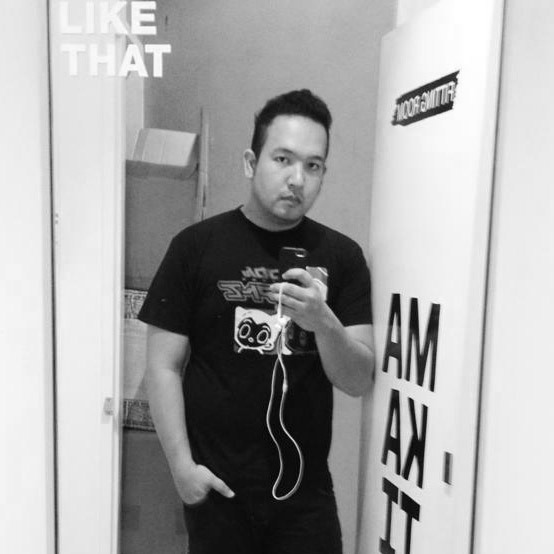 I don't want to have a party!" which started us to get interested how she wants to do it last July 31. 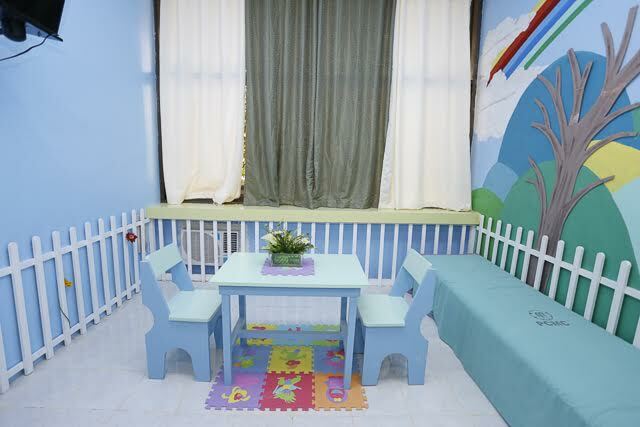 Barbie wanted to use the money to celebrate for other meaningful things so she did the deed by going to Philippine Children’s Medical Center again, although this time, she's participating in the “Adopt-A-Room” program of the said hospital. Kids here have a special place in Barbie's heart. She's actually been doing this in the last 4 years and with the program she could adopt a room, then transform and renovate it into a special private room. 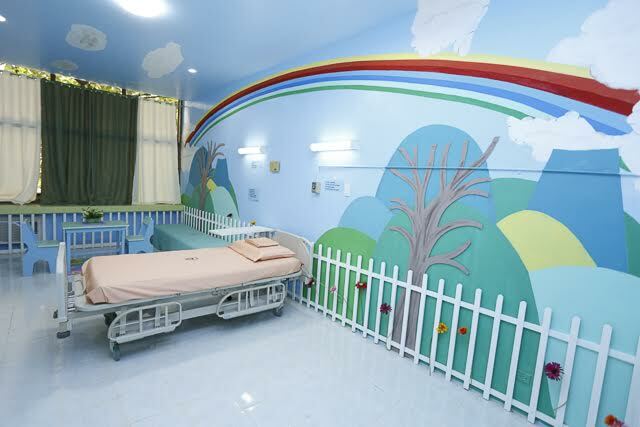 The proceeds of the room will go to the PCMC charity rooms on a continued basis so it could help countless children in charity cases, something she's always wished for every time she's here. 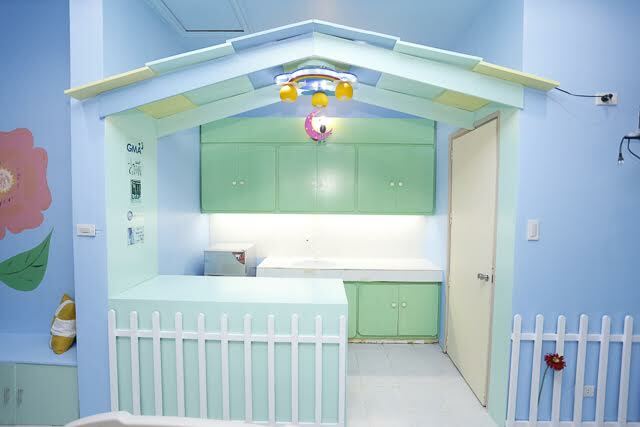 The project is still on going and Barbie's adopted room is still being worked on with the help of Architects Jose Ricky Martinez and Richie Ongteco. GMA Artist Center has also helped with the arrangements as usual. 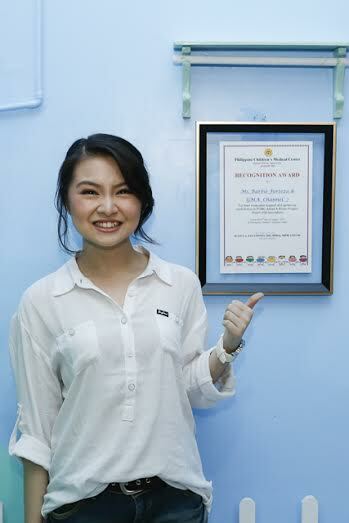 Barbie Forteza is officially the first celebrity to do this because the other rooms in the hospital were adopted by private institutions and brands. This is an opportunity that she says is very thankful for. 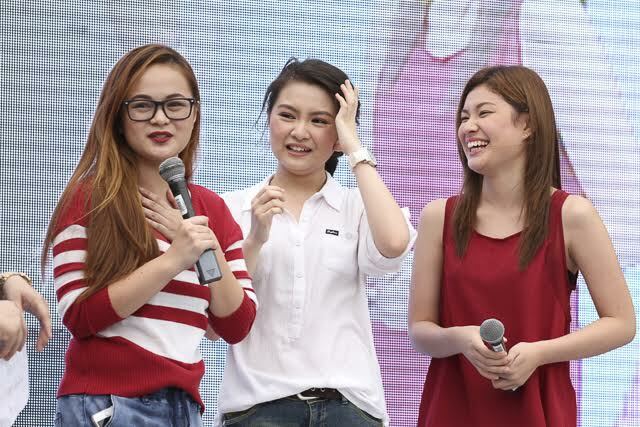 Barbie Forteza was also joined by her friends and fellow Kapuso artists Krystal Reyes and Thea Tolentino. She was also very thankful that they were there to help her give joy and gifts for the kids. 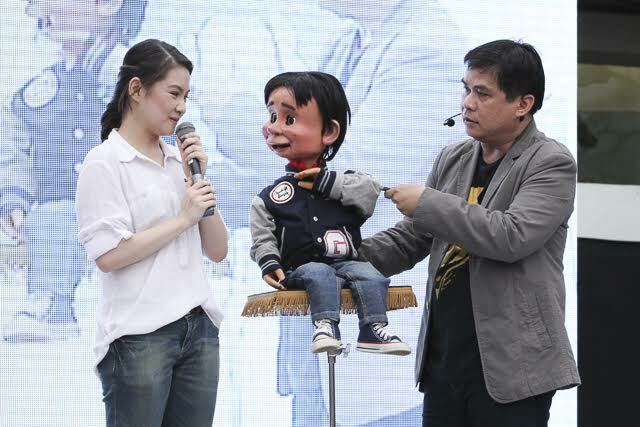 Barbie also joined in entertaining the kids of PCMC, a puppet show, gift giving and snacks were served. 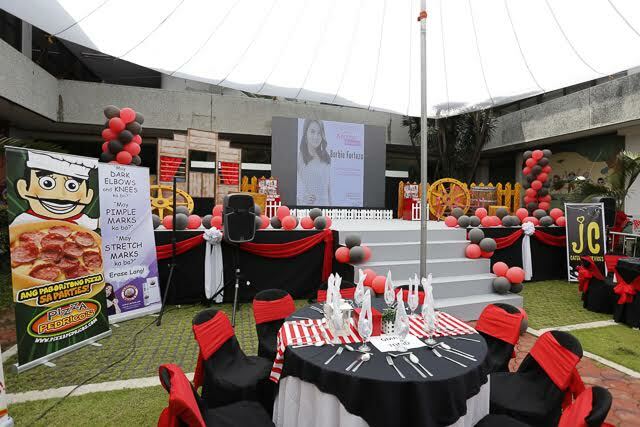 Barbie Forteza thanked her sponsors BNY, Unisilver Time, Posh Nails, Flawless, BS Mobile, Fruitas, Belladona Bags, Boysen Paint, Happy Haus Donuts, Pizza Pedricos, Kettle Korn, JC Catering, Cris-Carl Stuffed Toys, Megasoft Diapers, Muebles De Cristina Furniture, Fernando’s Bakeshop, Aquabest, Chocovron, Ritz Biscuits, Jao Ming Glutathione, RPKreativ, Dove and Fresh Look Contact Lenses for also chipping in on the renovation costs and giveaways during the small event. 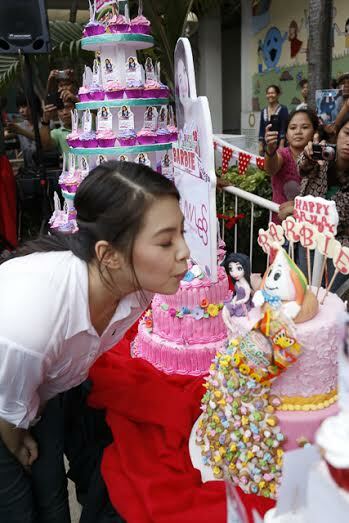 This celebration was definitely meaningful, no wonder she's so blessed and still continue to be in GMA top rater Half Sisters. Stay humble and sweet Barbie!